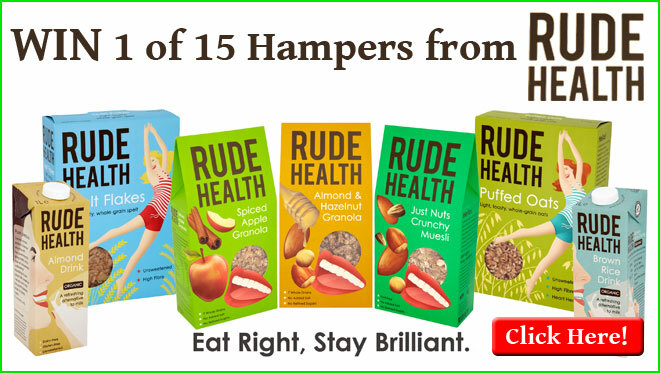 Win tasty, healthy breakfast hampers from Rude Health & much more! It’s been a week since World Egg Day and we have just about recovered from all the eggcitement. There’ll be more fun to come for Janet Cook though, as she was randomly selected as the lucky winner of our mEGGa competition. She will be taking delivery of a Yellow Eglu Go, plus all those other goodies, in the next few weeks, and we will be sure to catch the event on camera. The competition had a brilliant response, and we are thrilled to be donating over £400 to the BHWT, thanks to all your entries. This fantastic charity will use the money towards re-homing commercial laying hens, educating the public about how they can make a difference to hen welfare, and supporting the British egg industry. World Egg Day may be over for another year, but we have another treat for you. Get Free UK Delivery on Eglu Cubes, Walk in Runs and Extreme Temperature Jackets until the end of October. Who’s this gorgeous little chap? He’s the star of the photo competition of course. With a beautiful bright purple Eglu in the background, a trio of happy hens, and one heck of a pretty pooch, this star snap stood out as a clear winner, rewarding photographer Katie Cheetham with a £100 prize. We don’t know what Katie’s going to spend her winnings on yet, but we think a fancy tweed dog jacket would be a good start. 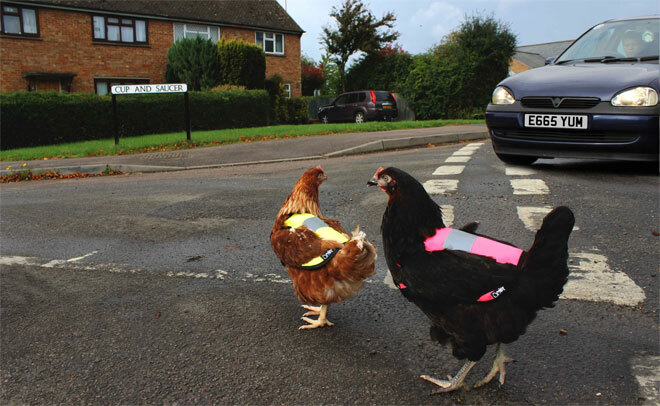 Some High-Vis Chicken Jackets would keep them happy in the Winter too. We’ve partnered with our friends at Rude Health to give you the chance to win some of the healthiest and tastiest cereals, snacks and drinks around. Rude Health are on a mission to revolutionise the nation’s eating habits, one meal at a time. They choose the best of the best ingredients and put them together in ways that make their natural flavours sing. No need to fortify or falsify. No need to mess with the planet. With great food inside us, we feel we can do just about anything. Eat right, stay brilliant. You’re in rude health when…Your smiling muscles are stronger than your frowning ones. You hold a world record for musical chairs. You can touch your toes and look great doing it. Our Eglus are regularly featured in blogs, magazines and newspapers, but it’s always nice when we spot a write-up about one of our, shall we say, less obvious products. And when an editor chooses to review both the big and the little stuff on their online blog, we can’t wait to read what they have to say. She gave the Eglu the thumbs up, calling it ‘incredibly funky and modern’, and the Qute was a hit too – in her words, this ‘des res’ has to be seen to be believed. 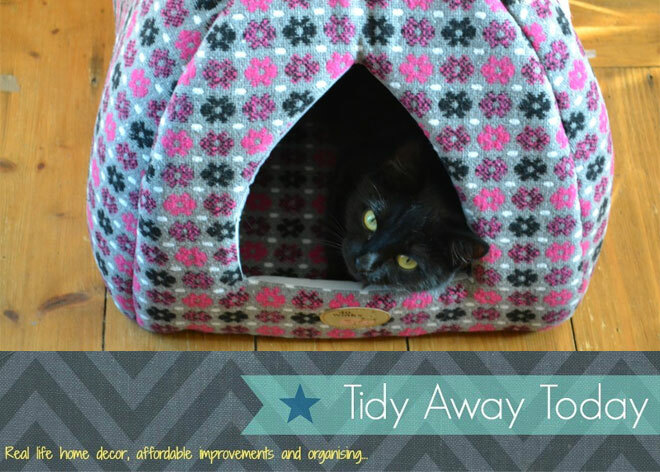 Read the full post here, and buy your own Floral Pyramid Cat Bed by clicking here. Thinking of buying an Eglu Cube? This US customer did, and he’s never looked back. Randy’s review proves just what a great investment an Omlet Chicken House is, and with our Free Delivery offer this month, there isn’t a better time to place your order. Click here to read more about the Cube, and see what other people are saying! There might still be a few days to wait to find out who is crowned the winner of the Great British Bake Off, but we are eggcited to be able to reveal the results of our own competition, The Great Omlet Bake Off, today. We had some fabulous entries and it was great to have so many of you get involved – it’s just a shame we didn’t get to taste those delicious looking bakes! After choosing our top 10, we put the entries to the public vote to choose the winners. So, without further ado, here are the results: 3rd place – Kev Harris, with his Egg Custard; 2nd place – Tanya Weaver, with her Honey and Lemon Beehive Cake; 1st place, and Omlet Star Baker – Sharon Smith, with her Oreo Rosette Cake. You can see the top recipes here, and have a go at baking them at home. Sharon is eggstatic to have won and she will be spending her £100 on treats and accessories for her new chickens! Our latest Tweet of the Month had us grinning like a cheshire cat. 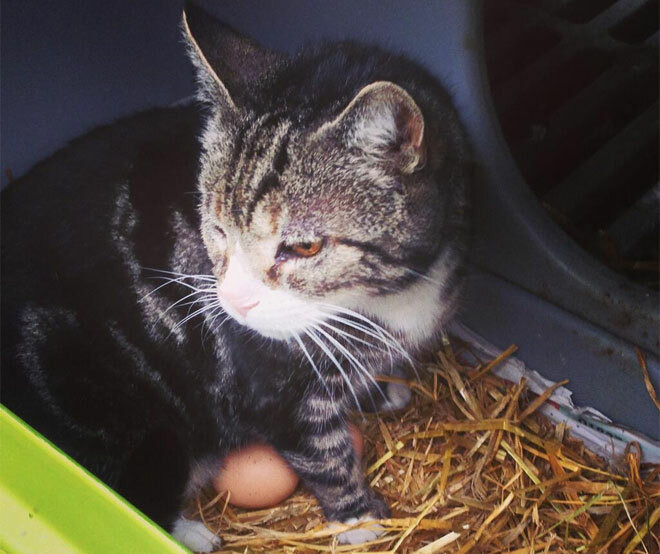 Moggies nesting in the Cube really isn’t something we see every day. Thanks for sharing @MrsEJAllison! Are you a tweeter? Follow us today! So how do you get your hands on one of these innovative new accessories, we hear you cry. You can buy them for just £12 each, or a twin pack for £20, on our website. Alternatively, send us your best ‘Why did the chicken cross the road’ joke and you could win one! Mini Magnetic Bookmarks – In two designs, these mini magnetic bookmarks are perfect for marking all those pages in your favourite gardening or cookery book – it makes flicking through them as easy as pie! Metal Chicken Pumpkin Set – Not very good at carving pumpkins? Turn one into a chicken instead! A great set for halloween, just stick the metal parts into your pumpkin, squash or other vegetable. Snugglesafe Microwave Heatpad – Chilly nights can be a worry for pet owners, but this microwave heatpad will provide up to 10 hours of warmth for kittens, puppies, rabbits, guinea pigs and even chickens.